Hello everyone! For those of you who don’t know, I’ve been at Life Teen’s Camp Covecrest as a summer missionary for the last 3 weeks. 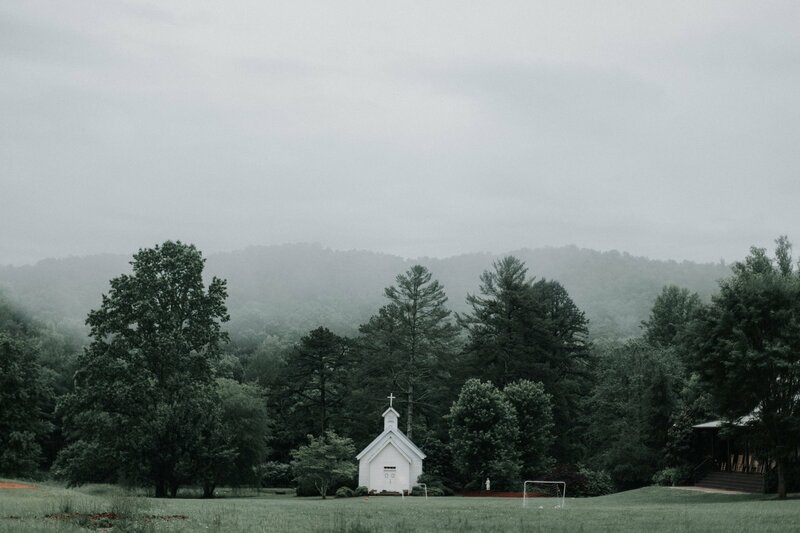 Camp Covecrest is a camp in Tiger, GA where Catholic teens from all over the US come for a week-long encounter with Christ. Please pray for me, the other missionaries, the staff, my parish from last week (St. Rose of Lima) and my parish this week (St.Dominic)! The first 2 weeks at camp help us prepare for the campers to arrive. Week one was “Work Week”, where we prepared the outside and inside of camp. The second week was “Formation Week”, which helped us prepare our hearts and minds for campers to arrive. The third week, “Week 1”, is when our parishes arrived. We spent the whole week with them doing amazing things and glorifying God the entire time. These first 3 weeks have been so fruitful, but by far, the thing I’ve grown the most in is trust. Here at camp, the Eucharist and prayer is our way of staying in close companionship with Christ. We have a daily holy hour and attend mass together every day as a community. We also begin and end every day with the Liturgy of the Hours. This daily routine of prayer is the heartbeat of our community and the strength I receive from daily communion is hard to express with words. Every day I have to trust in the Lord to give me strength. I have to trust that He is working in the teens and in me. During work week we had abundant opportunities for spiritual direction with Fr. John Ignatius, one of the founders of the Servants of Christ Jesus. During one of our discussions on trust, he talked about a poverty pilgrimage that he went on a few years back. A poverty pilgrimage is a journey from one place to another with the bare minimum. Fr. John’s was along the California Mission trail. He took a backpack with a change of clothes and his bible inside – nothing else. No money, no hotel reservations, no food – nothing. He said that every day they had to trust in the Lord to get them from one place to another. His entire trip, he said that he never spent a night outside, he never starved, and most importantly, he never stopped trusting the Lord. Hearing this story stressed me out. No prior planning? No money? No food? His example of radical trust in the Lord showed me that if he can survive weeks of travel on only trust, I can at least start to trust God more in the smaller things in my life. We were called to place something at the foot of the altar and give it up to God. I placed my object and looked up at Christ in the monstrance and, for a split second, questioned it. I returned to my seat, which I noticed had a sheet of paper laying on it that I hadn’t seen before. I opened it and, lo and behold, it was the Litany of Trust. Talk about being abundantly clear! Since then I’ve been working on giving Jesus more and more, and trusting Him with more things in my life. I encourage everyone who took the time to read this to pray a Litany of Trust for themselves or a loved one, and if you feel called, make it a weekly, or daily, devotion. From the belief that I have to earn Your love … Deliver me, Jesus. From the fear that I am unlovable … Deliver me, Jesus. From the false security that I have what it takes … Deliver me, Jesus. From the fear that trusting You will leave me more destitute … Deliver me, Jesus. From all suspicion of Your words and promises … Deliver me, Jesus. From the rebellion against childlike dependency on You … Deliver me, Jesus. From refusals and reluctances in accepting Your will … Deliver me, Jesus. From anxiety about the future … Deliver me, Jesus. From resentment or excessive preoccupation with the past … Deliver me, Jesus. From restless self-seeking in the present moment … Deliver me, Jesus. From disbelief in Your love and presence … Deliver me, Jesus. From the fear of being asked to give more than I have … Deliver me, Jesus. From the belief that my life has no meaning or worth … Deliver me, Jesus. From the fear of what love demands … Deliver me, Jesus. From discouragement … Deliver me, Jesus. That You are continually holding me, sustaining me, loving me … Jesus, I trust in You. That Your love goes deeper than my sins and failings, and transforms me … Jesus, I trust in You. That not knowing what tomorrow brings is an invitation to lean on You … Jesus, I trust in You. That You are with me in my suffering … Jesus, I trust in You. That my suffering, united to Your own, will bear fruit in this life and the next … Jesus, I trust in You. That You will not leave me orphan, that You are present in Your Church … Jesus, I trust in You. That Your plan is better than anything else … Jesus, I trust in You. That You always hear me, and in Your goodness always respond to me … Jesus, I trust in You. That You give me the grace to accept forgiveness and to forgive others … Jesus, I trust in You. That You give me all the strength I need for what is asked … Jesus, I trust in You. That my life is a gift … Jesus, I trust in You. That You will teach me to trust You … Jesus, I trust in You. That You are my Lord and my God … Jesus, I trust in You. That I am Your beloved one … Jesus, I trust in You. Beautiful article. 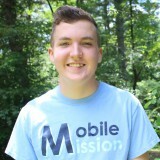 Continued prayers for you, the Mobile Mission, and your work at camp Covecrest.